Manchester United secured a dramatic 3-2 victory over Newcastle at Old Trafford. Alexis Sanchez celebrates his 90th minute winner. Email “Sanchez scores 90th minute winner as Man United resurrect in five goal thriller”. 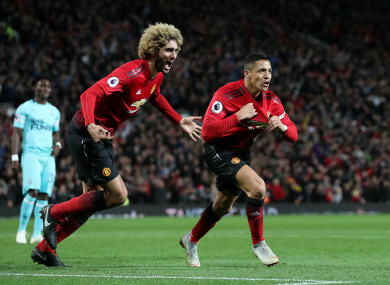 Feedback on “Sanchez scores 90th minute winner as Man United resurrect in five goal thriller”.